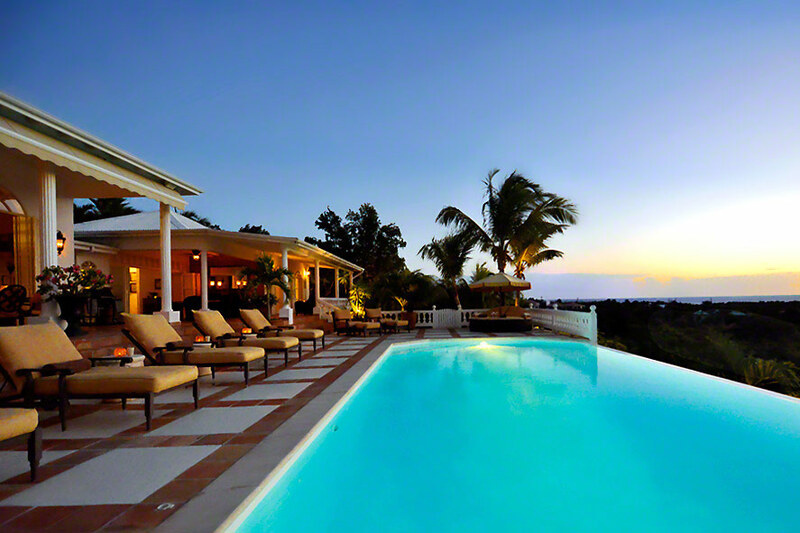 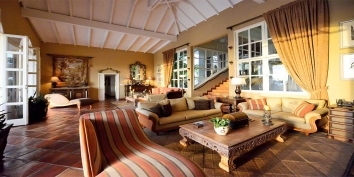 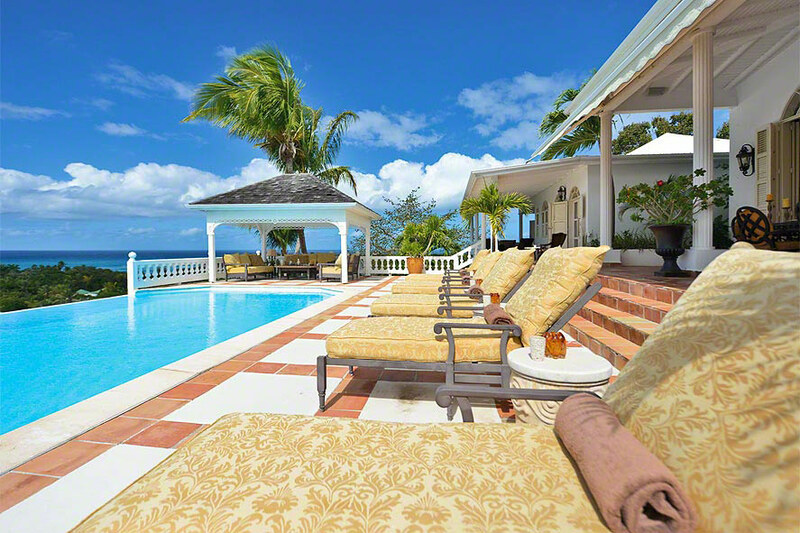 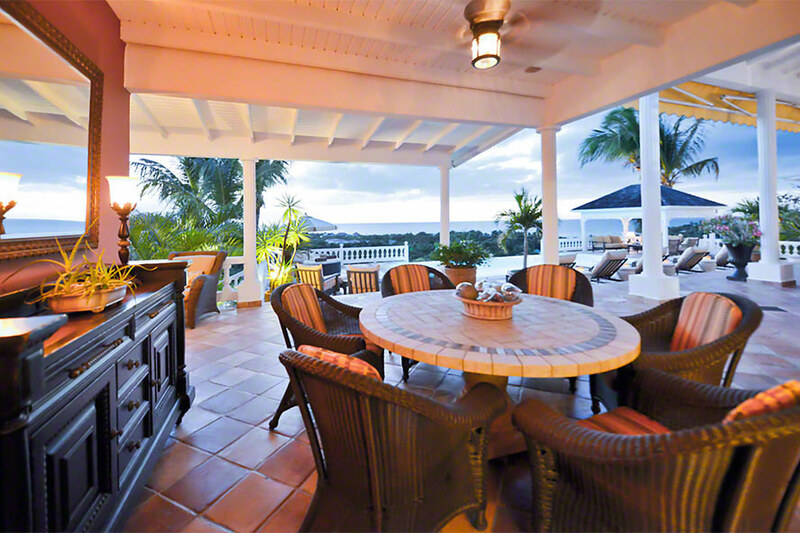 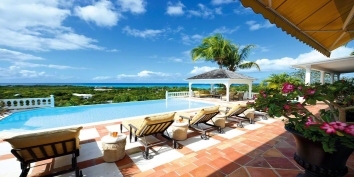 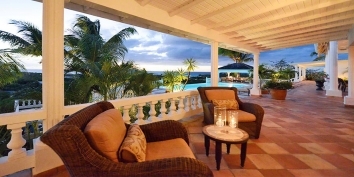 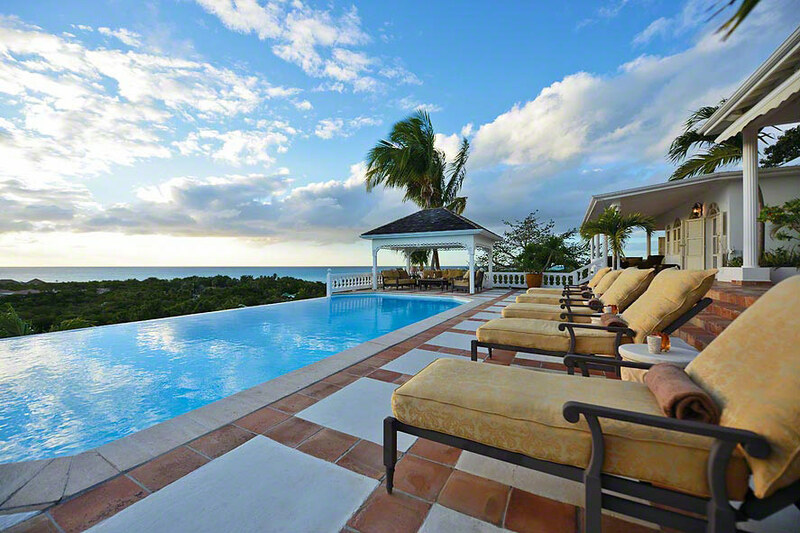 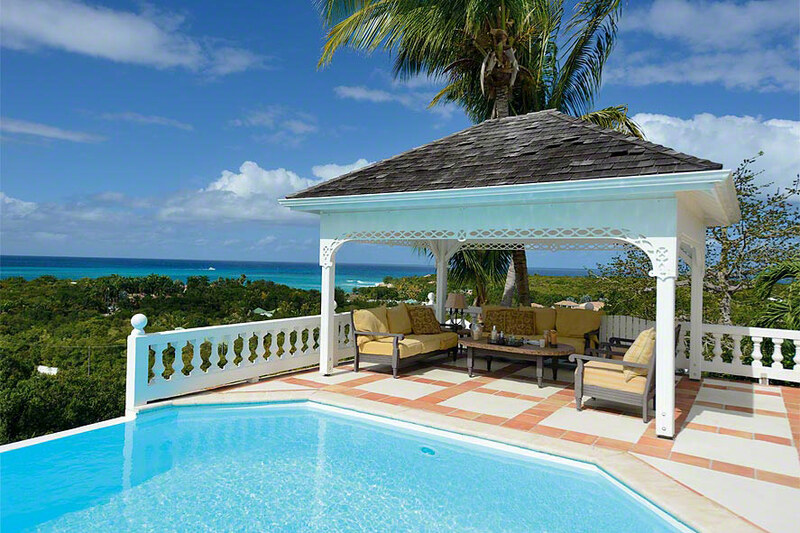 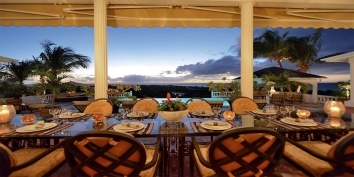 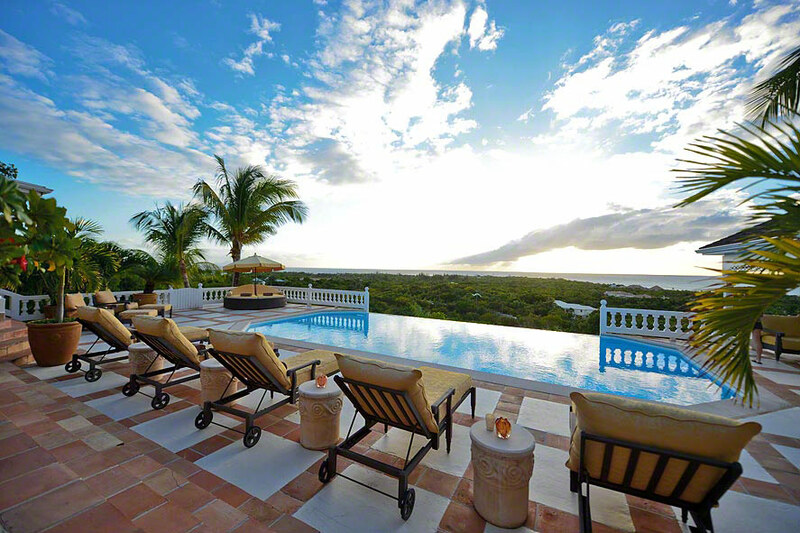 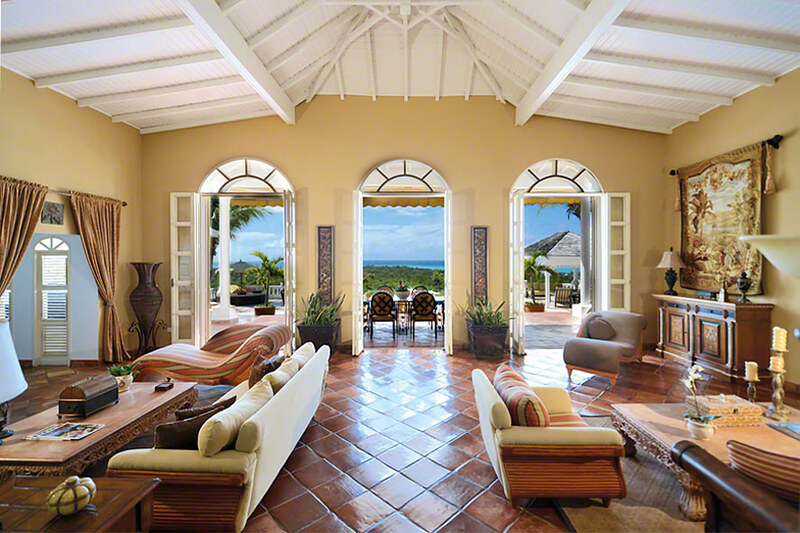 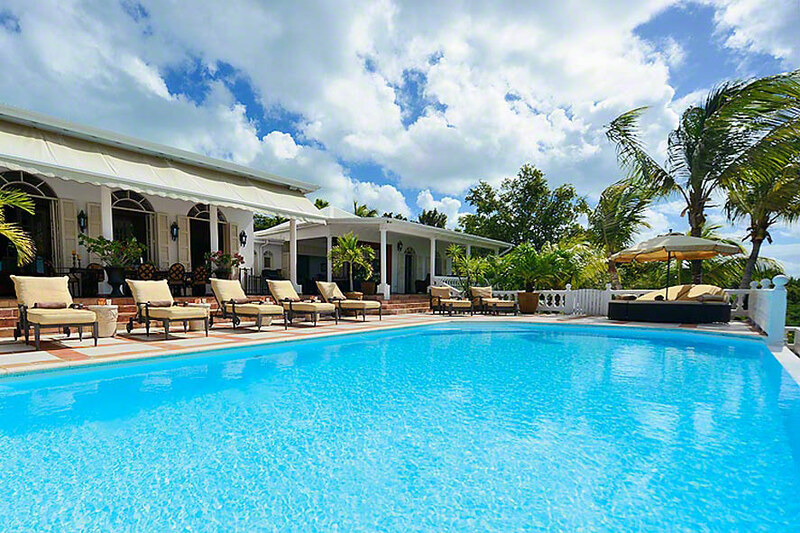 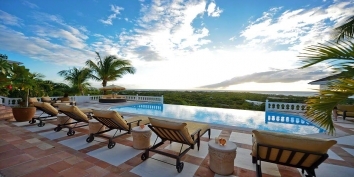 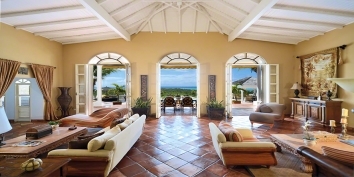 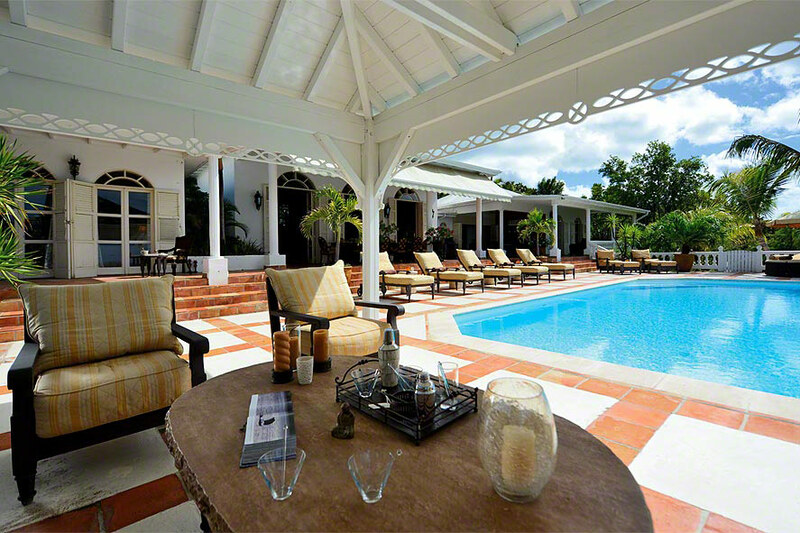 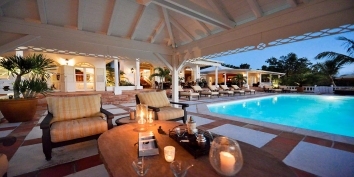 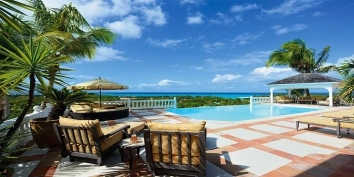 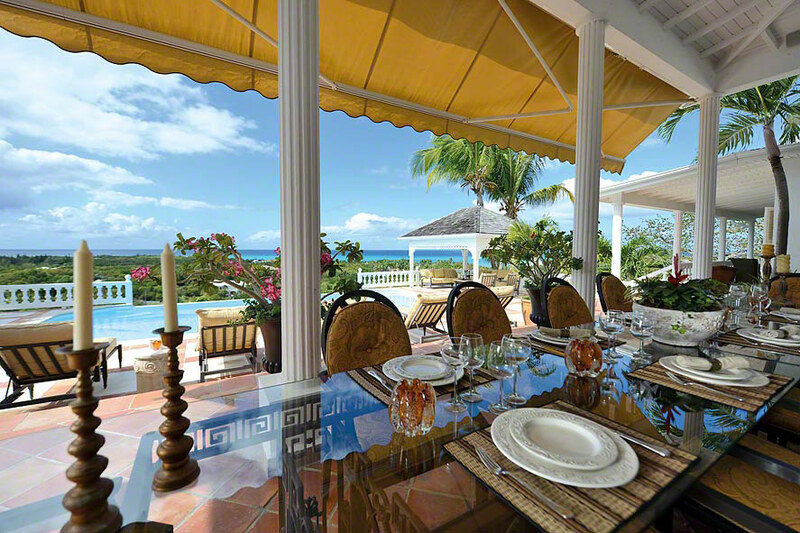 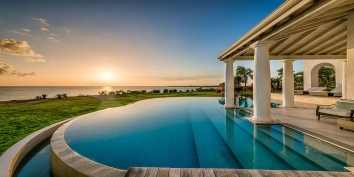 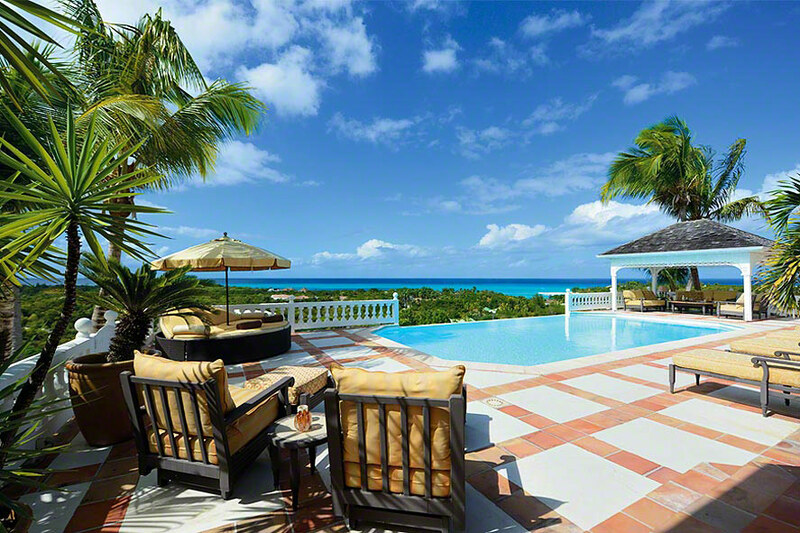 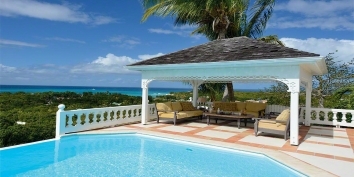 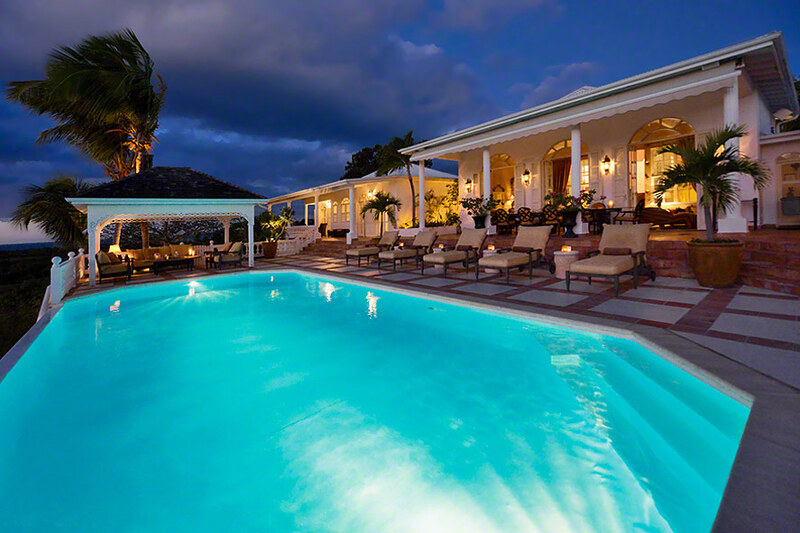 A spacious 4 bedroom colonial-style villa perched above the tranquil waters of Plum Bay with breathtaking panoramas of the Caribbean Sea and the islands of Saba and Anguilla. 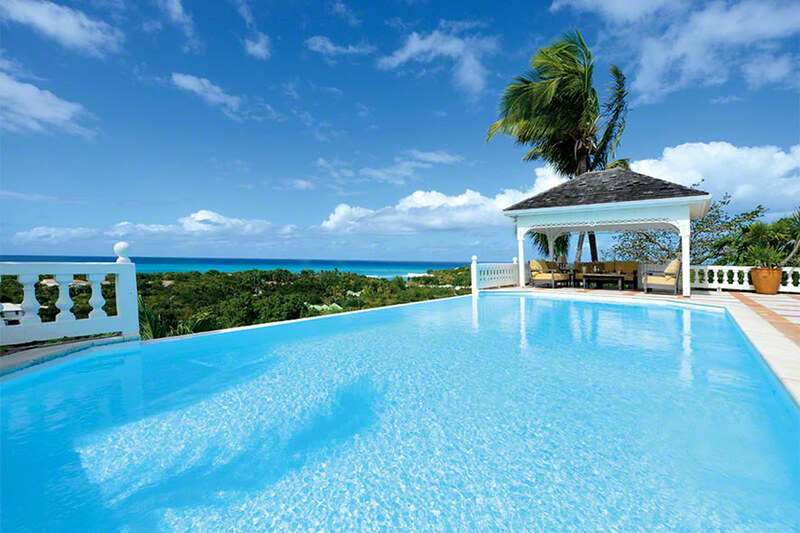 The pool area, with its sweeping vistas, offers complete privacy for that perfect all over tan or romantic midnight swim. 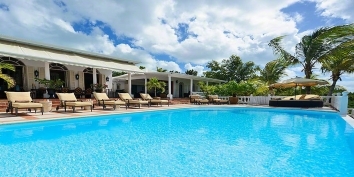 In addition, Mille Fleurs has all the amenities of home, including air conditioning, satellite television, DVD players, sound system with I-POD docking station and high speed wireless internet service. 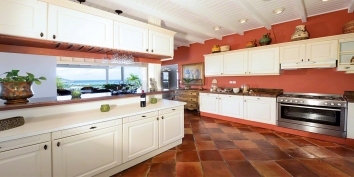 The kitchen is fully stocked and equipped -- perfect for whipping up a romantic dinner to enjoy poolside. 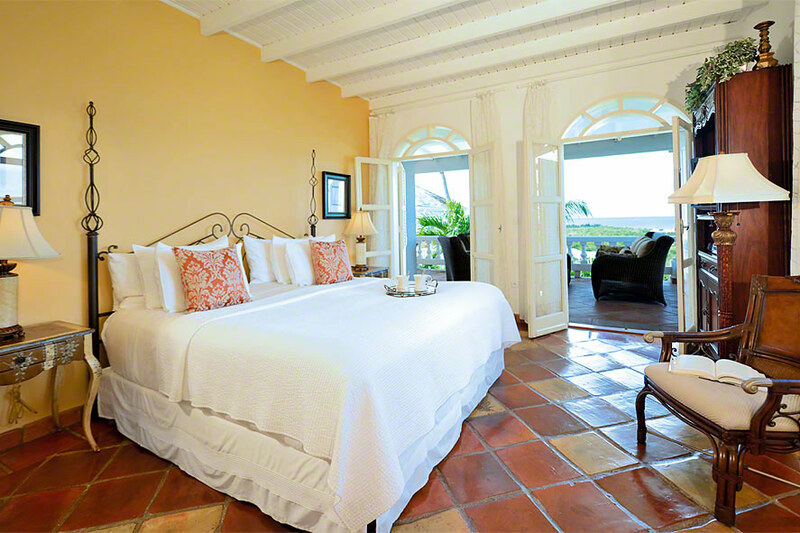 The Master Bedroom features a king-size four-poster bed, a spacious bathroom and separate dressing area with ample closet space. 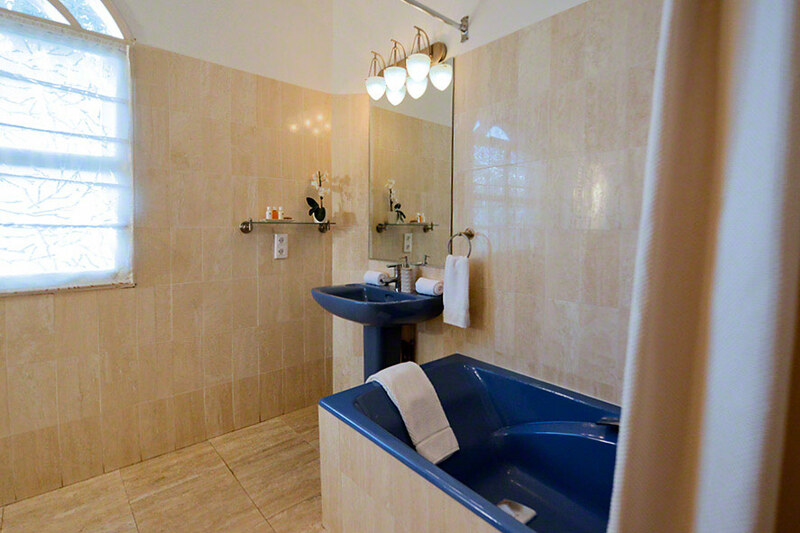 The other three guest bedrooms have en-suite bathrooms as well. 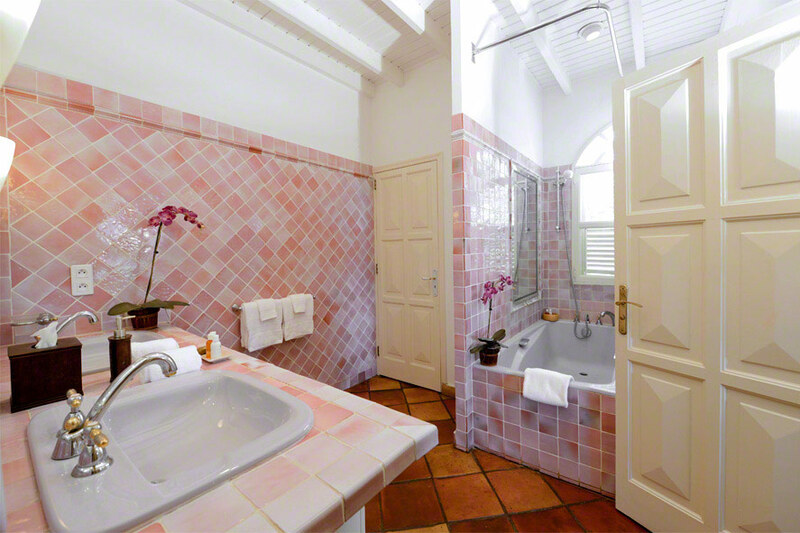 As part of your experience at Mille Fleurs, daily maid service is provided (Monday through Saturday) and laundry services are available. 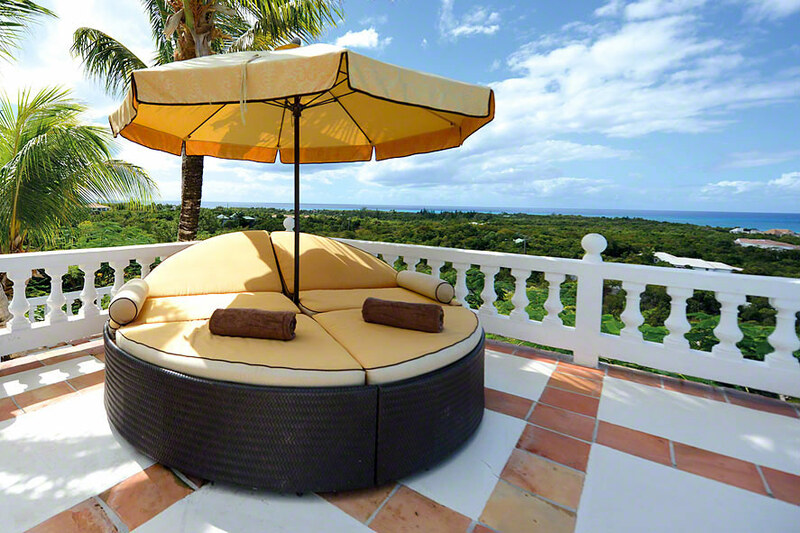 For your beach outings, Mille Fleurs provides beach chairs, umbrellas and coolers. 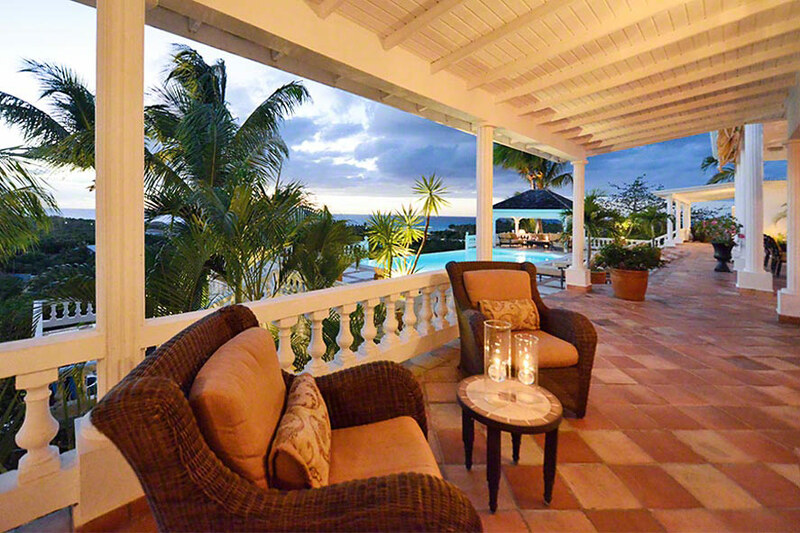 Mille Fleurs is centrally located -- Whether you're interested in sunning, shopping, golfing or gambling, you are just minutes by car to the shops and restaurants of Marigot and Simpson Bay, the casinos of Cupecuy and Maho and the greens of Mullet Bay golf course. Can be rented as a 1-2-3 or 4 bedroom villa! 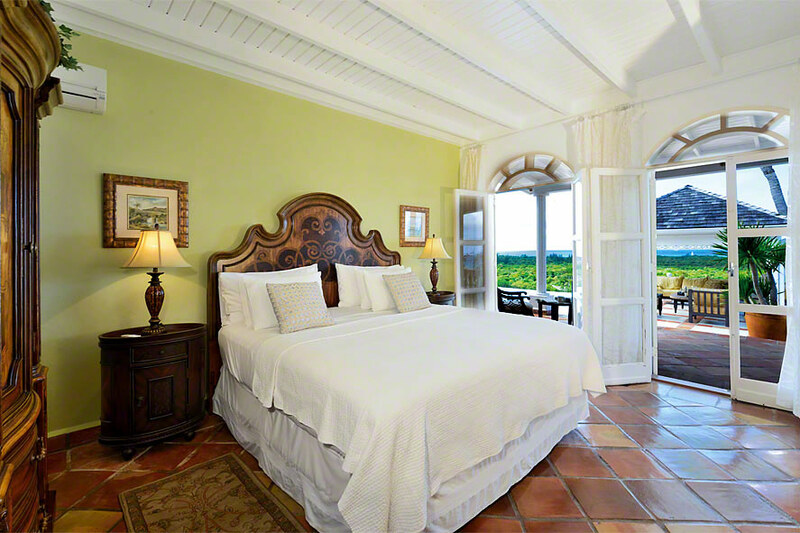 Three of the bedrooms have king size beds and open to the pool area . 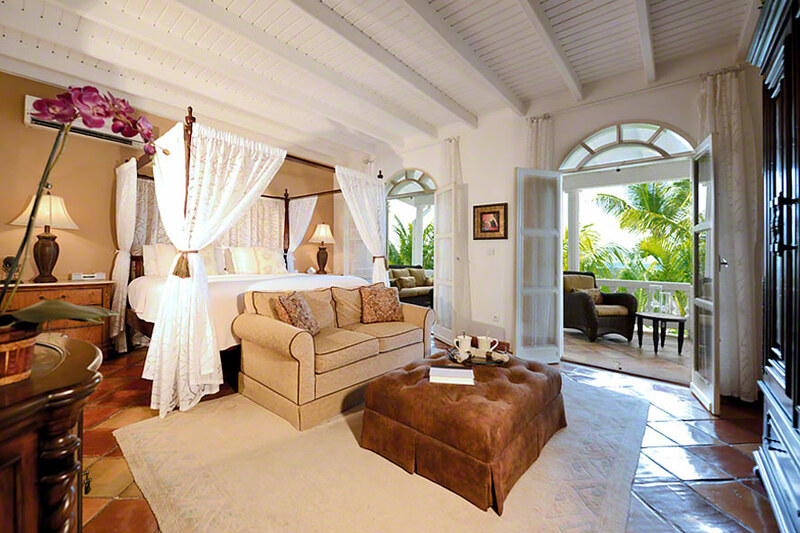 The fourth bedroom has twin beds. 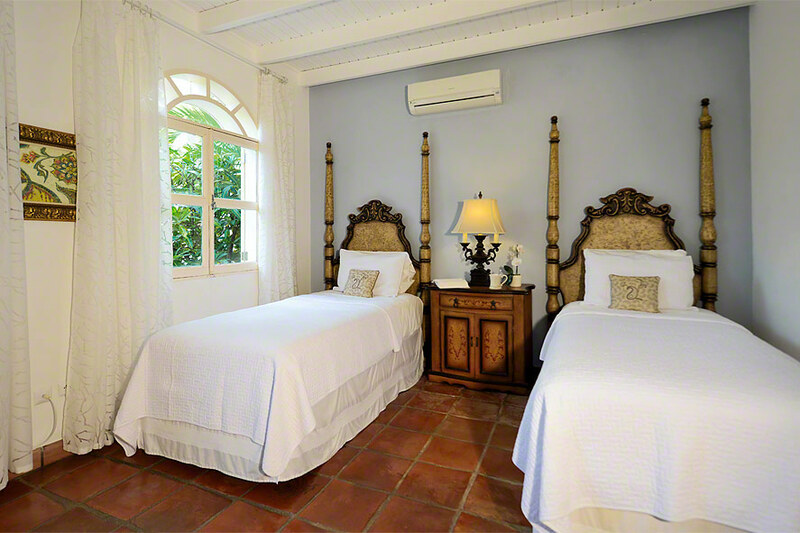 All bedrooms have interior access, air conditioning, private bathroom, TV (with separate satellite in three of the bedrooms) & DVD. 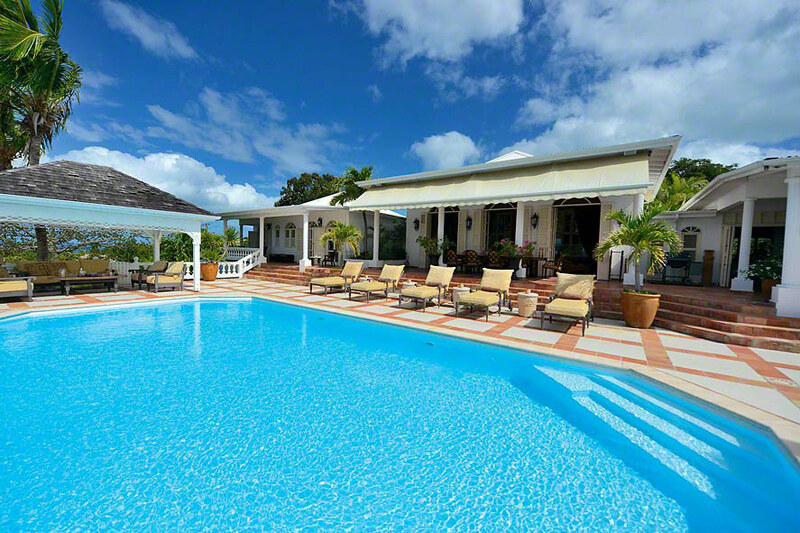 Can be rented as a 1-2-3 or 4 bedroom villa! 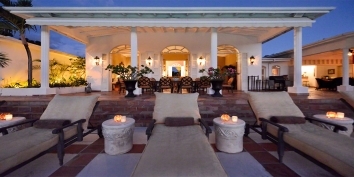 Decorated in refined tropical sophistication and accented with unique artwork, the spacious living area, with soaring ceilings and an expansive floor plan,opens on to an elegant columned terrace and outdoor dining area which descends to a large infinity pool and gazebo with a comfortable seating area. The living area features TV, DV, Satellite TV, Ipod dock and a collection of DVs & CDs. 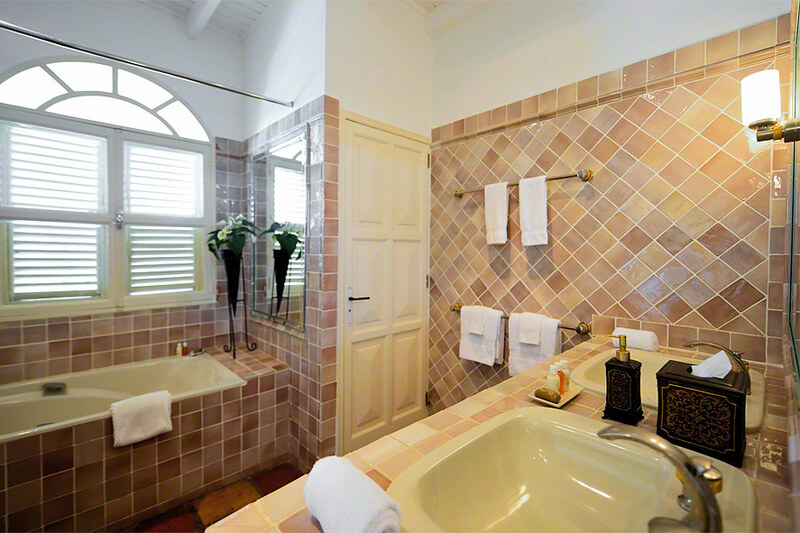 En-suite private bathrooms with showers and tubs except for one of the bathroom which has only a shower . 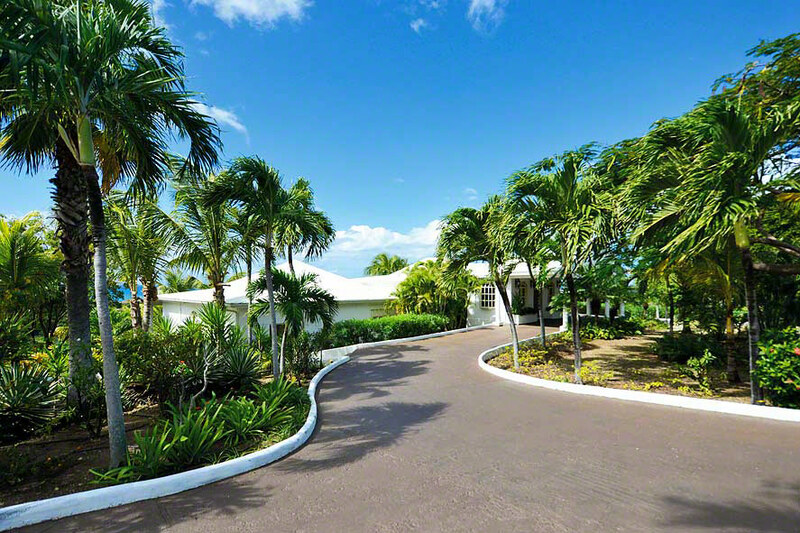 • To Beach: -10 minute walk to Plum Bay Beach . 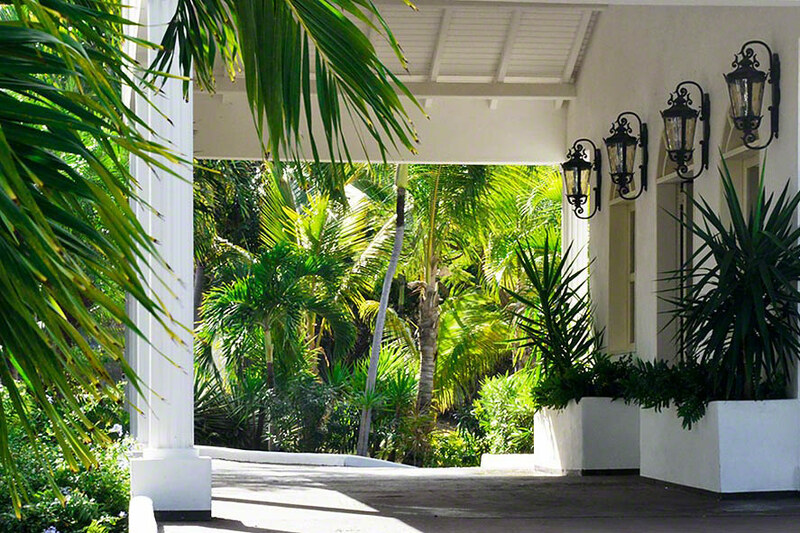 • To Nearest Grocery Store: 7 minute drive . Special Event : This property can be rented for “special event” such as Wedding Party of Cocktail Party . 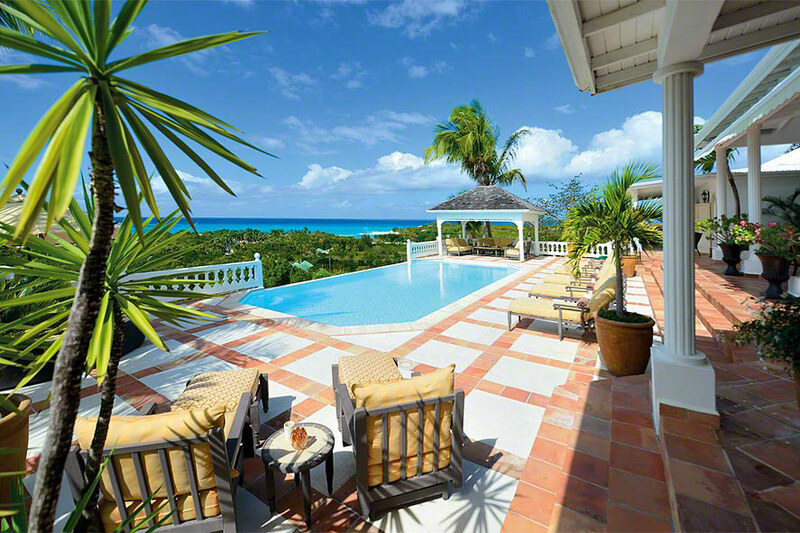 Additional to one week minimum rental, an event fee & a security deposit would be required according to the number of guests . 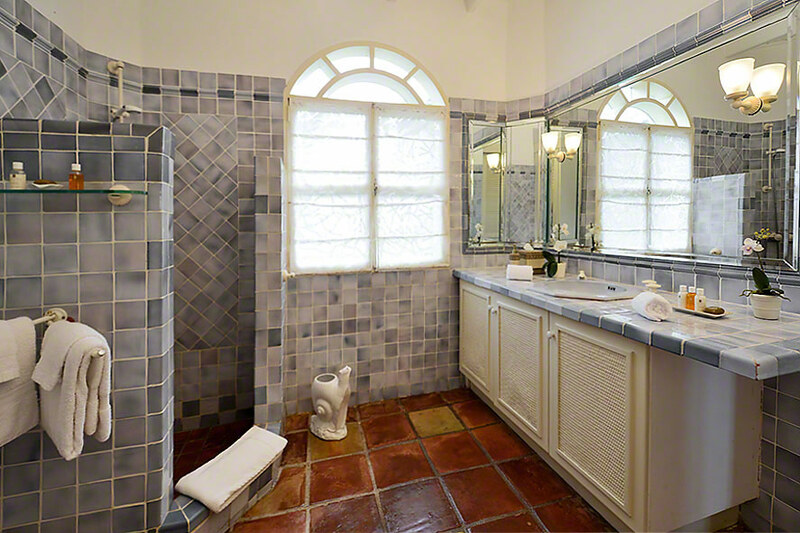 The guests will be responsible to clean the house after the event and the owners will not accept more guests at the villa than what the villa can accommodate during the entire rental period (2 pax per bedroom) beside the event day .